We have a HUGE announcement to share. As we continue to expand fundraising efforts, we’ve come up with our newest adventure… Today, we’re launching the Ethiopia Project coffee project! We’ve sourced coffee from the Kaffa region of Ethiopia and partnered with Sterling Coffee Roasters for roasting. Each roast of coffee will be named by the project the proceeds will be benefiting. 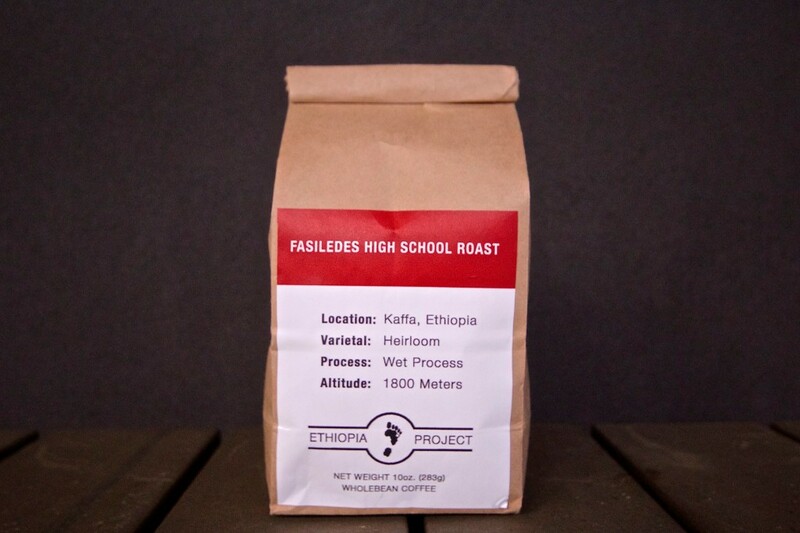 Our first roast is the Fasiledes High School Roast, benefiting the high school we’re helping rebuilding in Gondar, Ethiopia. To purchase, we’re starting with in person pick up Saturday 03/26 at Sterling Coffee on NW 21st and Flanders. Kyle Campbell, will be there from 8am – 11am. To reserve a bag, send us a message or leave us a comment below. When you pick up your bag, we have a small thank you waiting for you. Posted by admin. Filed under Coffee Project, Featured.